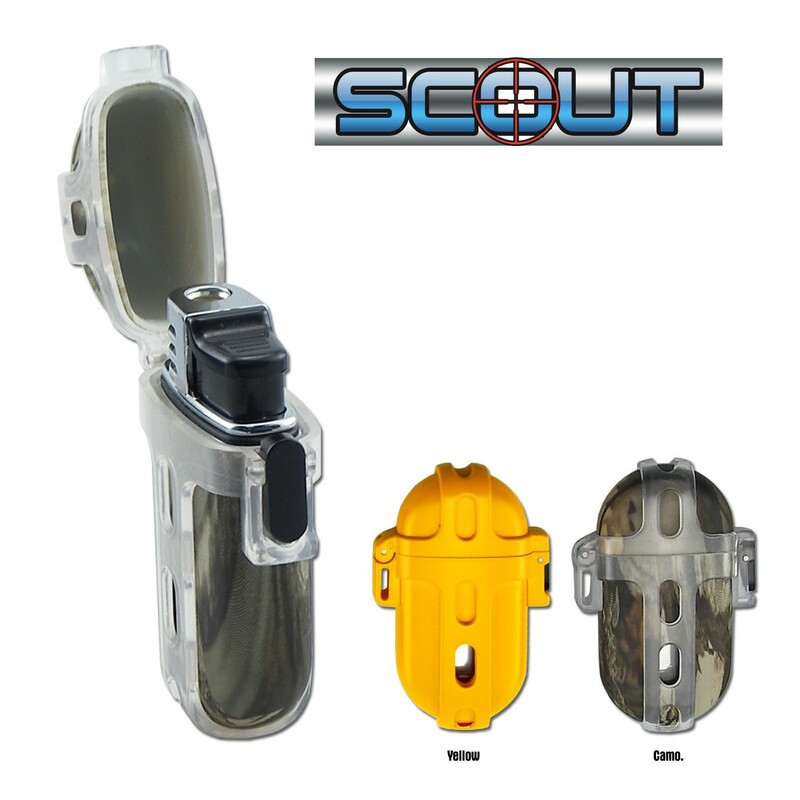 The Scout™ lighter has a waterproof casing that can survive rigors of marine environments. 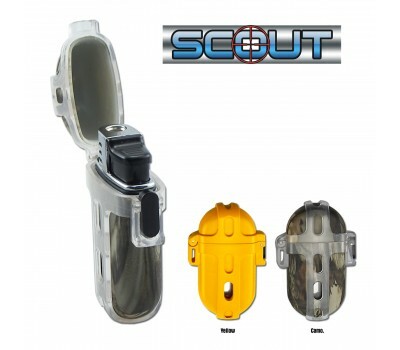 This lightweight, windproof/waterproof lighter is perfect for camping, boating, and the extreme demands of an adventurer! Features a turbo flame: 2500°F piezo electronic ignition, Fuel level sight glass, flame adjustment screw and refill valve. Refillable butane.